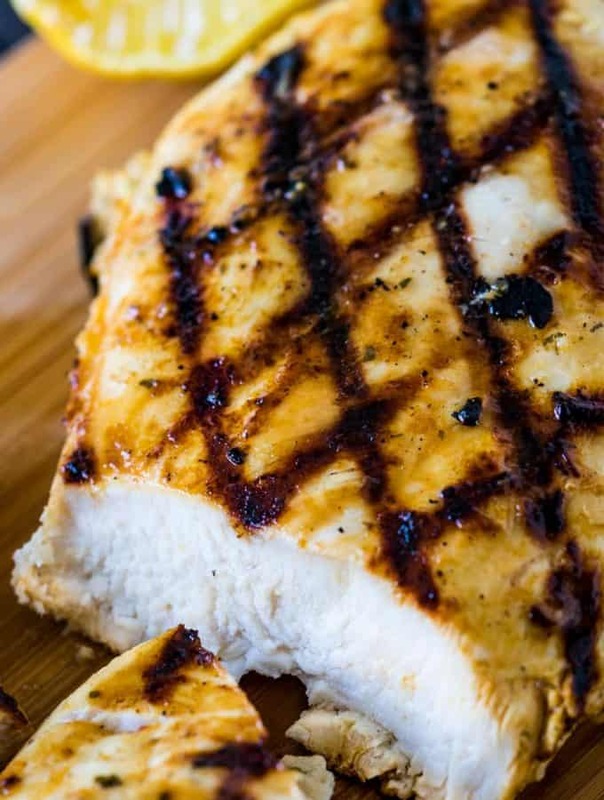 Alright, what if I told you you could have tender, flavorful, BBQ chicken sandwiches ready on your table in about an hour– would you believe me? Well, of course you would because I’ve never led you astray in the past. 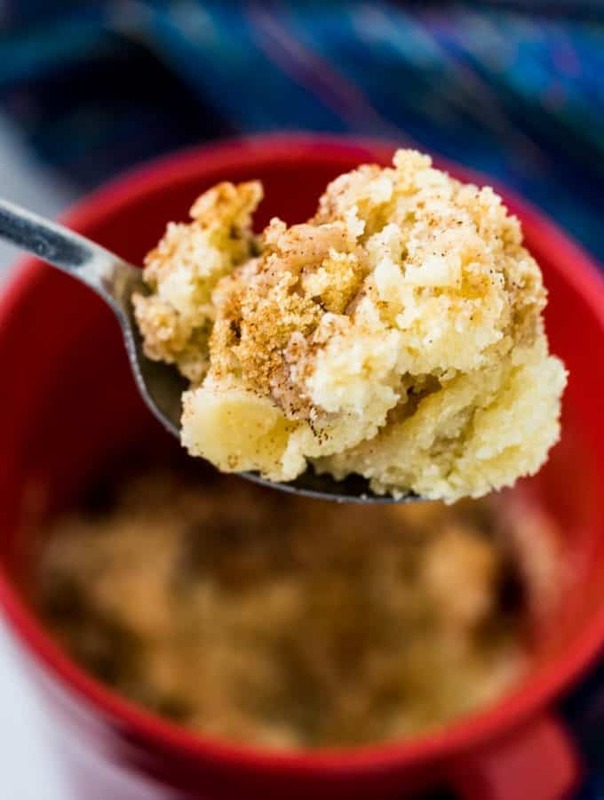 But really, if I was just some crazy chick on the internet that posted random recipes on a website that she made up, would you believe me? Let’s back up here and forget anything I just said. 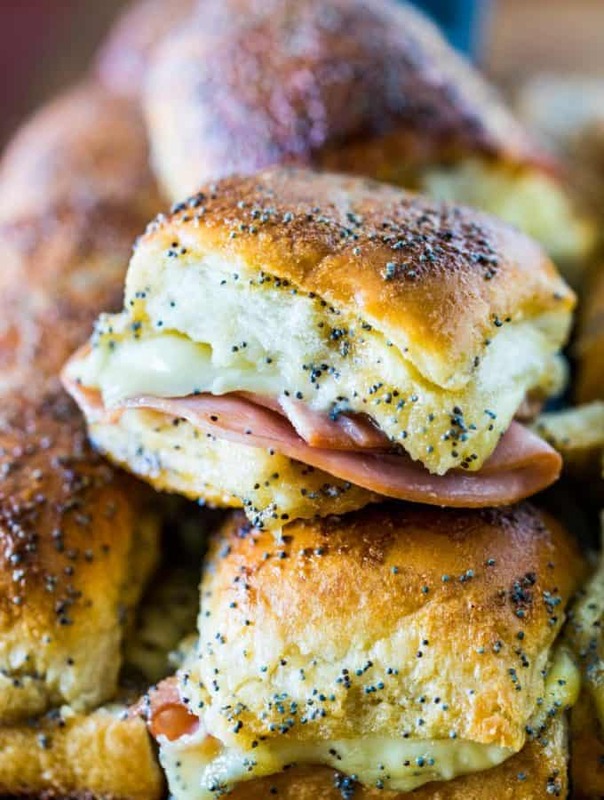 All I really want to say here is that these sandwiches are awesome. The End. 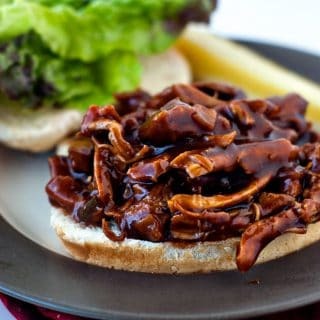 What’s The Secret To These One Pan BBQ Chicken Sandwiches? 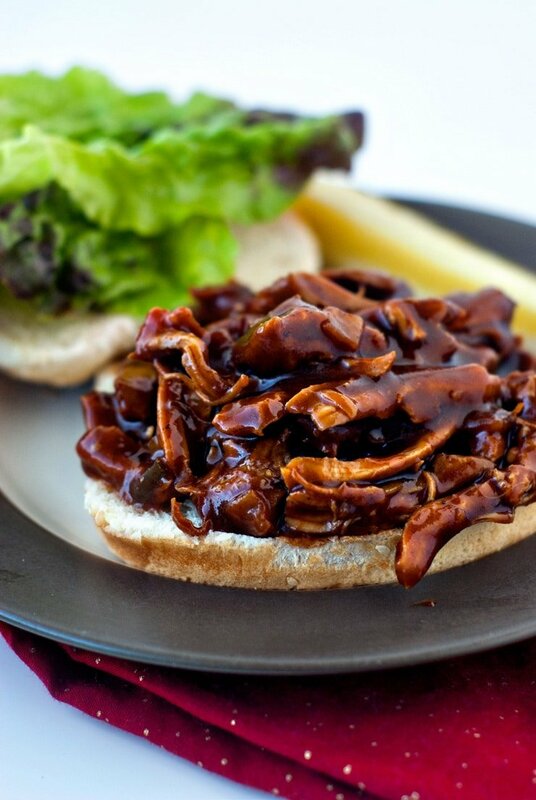 The secret to these BBQ Chicken Sandwiches? 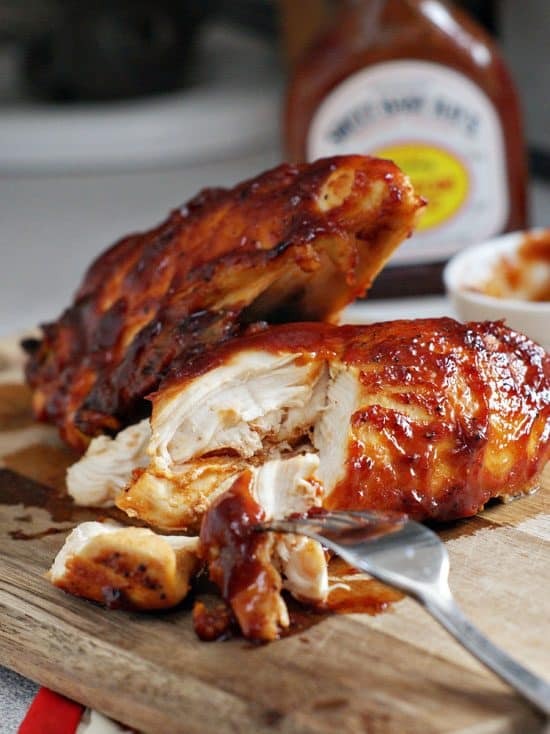 We’re using boneless skinless chicken thighs that are full of flavor and stay tender and moist as they simmer away in BBQ sauce. 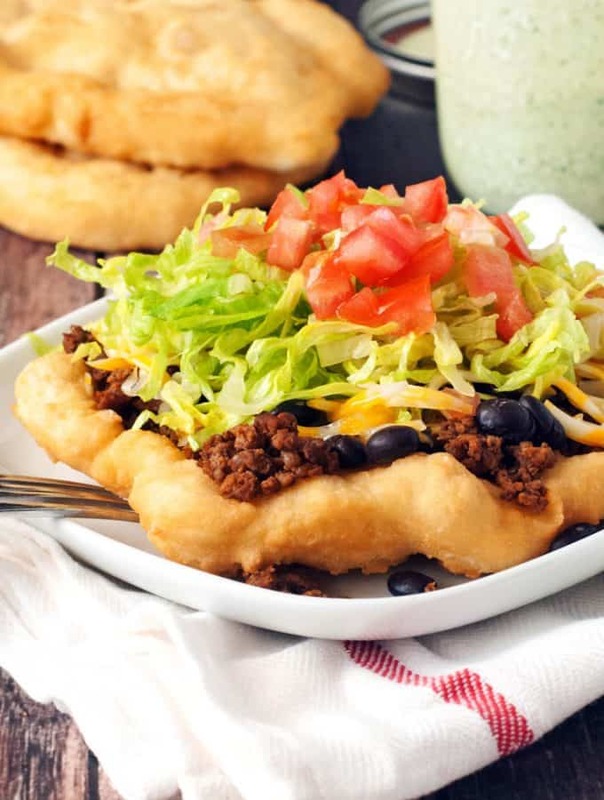 Oh, and I used a pretty darn good sauce to make these too! 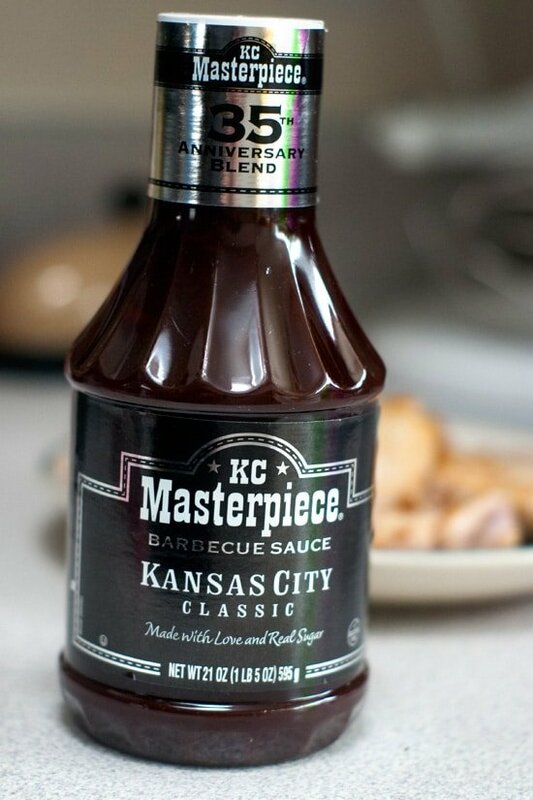 This KC Masterpiece® Kansas City Classic limited-edition sauce just came out to celebrate the brand’s 35th anniversary and it’s a pretty excellent way to celebrate. 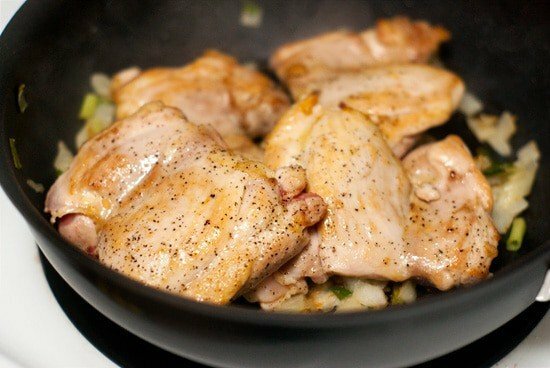 You’ll brown up some chicken thighs in bit of olive oil and season with salt and pepper and then remove them to make way for some onion and green bell pepper. 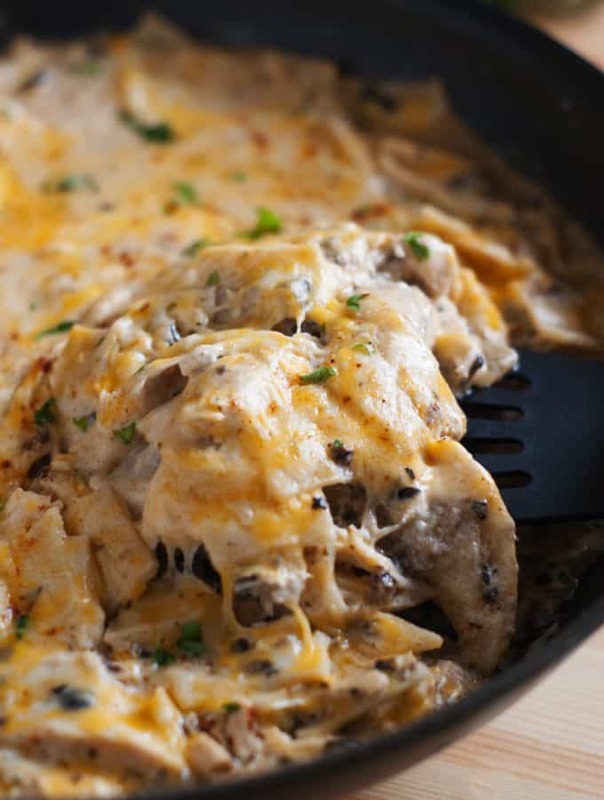 Once the veggies are tender, chicken get’s put back in the pan aaaaaand…..
Smothered with some KC Masterpiece® sauce. From here all that’s left to do is put a lid on the pan, reduce the heat to a simmer and let cook until the chicken is tender and easily shreds– about 30-40 minutes. Top hamburger buns, kaiser rolls. 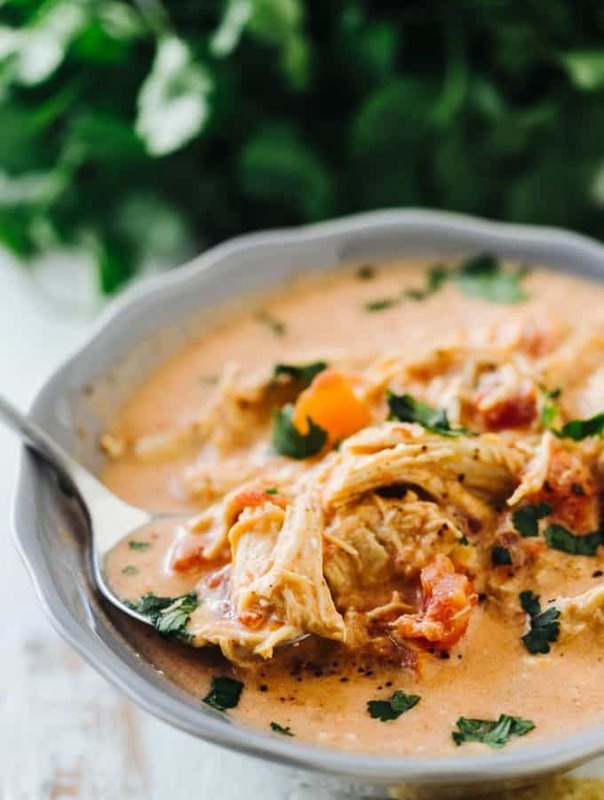 or whatever your bread of choice is with the shredded chicken and you’ve got a quick and super filling meal! This BEST EVER Cole Slaw, or Sweet Broccoli Salad would make a super pairing as well. 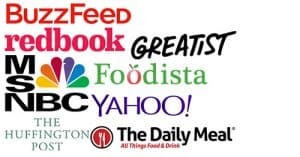 For more recipe ideas or to learn more about KC Masterpiece® barbeque sauces visit the KC Masterpiece® website or connect with them on Facebook or Twitter. 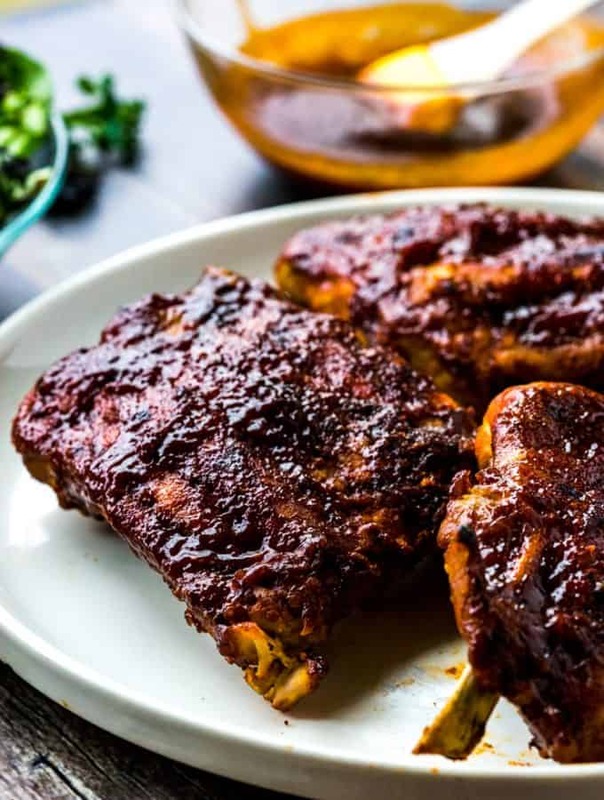 WANT MORE CRAZY DELICIOUS CHICKEN THIGH RECIPES? Servings: 4 large sandwiches, 6 small. Heat olive oil over medium high heat in a large skillet. Season chicken thighs with salt and pepper and brown on both sides until lightly golden. Remove from pan. Add onions and peppers to the pan and saute for 4 minutes or until tender. 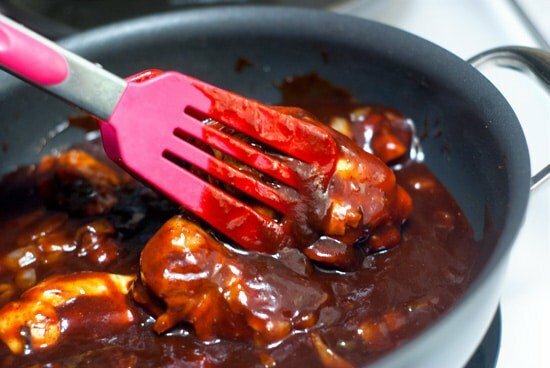 Return chicken to the pan and pour in BBQ sauce. Stir to coat, cover and lower heat to a simmer. 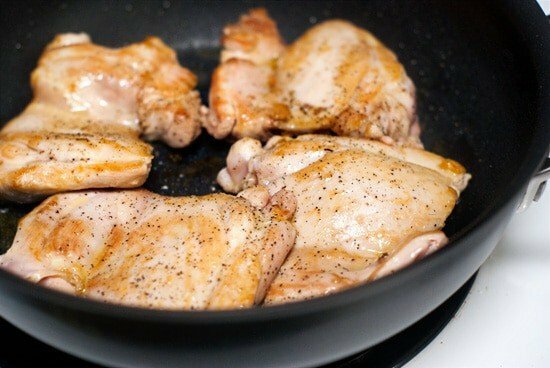 Cook 30-40 minutes or until the chicken is tender and easily shreds. Top bread with shredded chicken and any desired toppings.